The options settings of WP Edit Pro can be exported to a file which can be saved for later purposes. This feature can be used to take a backup of current plugin settings; or to take the settings from one site, and easily import them into another site. 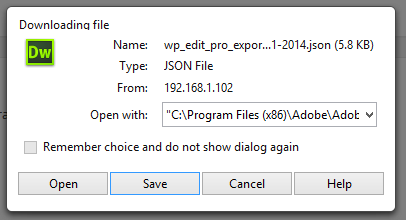 The export button will create a new file (with a .json file extension) which can be saved to your computer. The button will open the browser window where a download location can be selected. 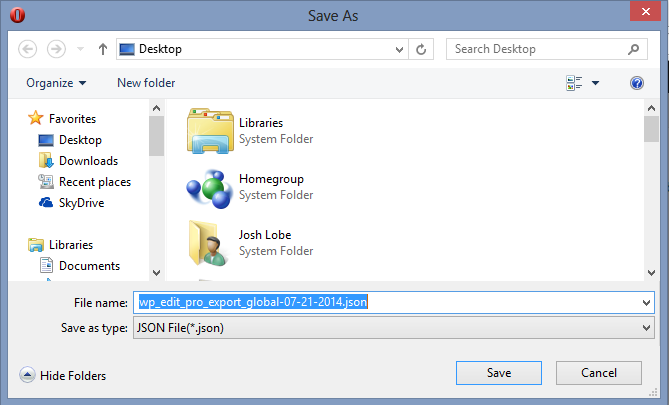 The export file is saved as a .json format. The name of the file will contain the date the file was created. This entry was posted in Database.